The answer places historian Cameron Thorne at the dangerous intersection of secret American history and modern geopolitical intrigue. 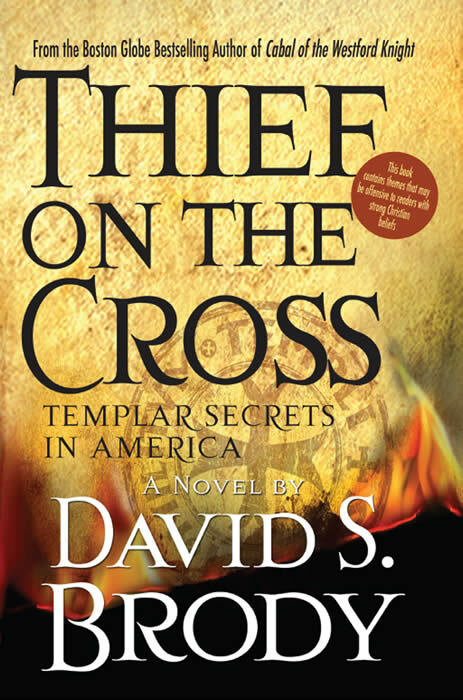 Following clues contained in ancient American artifacts and medieval European masterpieces, Cameron and his fiancée Amanda Spencer race to uncover the true secrets of early Christianity before a splinter group of Mormon zealots silences them forever. Just as they did in Cabal of the Westford Knight: Templars at the Newport Tower, Cameron and Amanda discover, examine and interpret ancient artifacts and legends scattered throughout North America that reveal a history of European exploration long before Columbus. But how do the Burrows Cave stone carvings, the Bat Creek Stone, the Prince Madoc legend, the Book of Mormon and the Mandan tribe of “White Indians” relate to the medieval Templars? Only when they learn about the head of Baphomet and examine Leonardo da Vinci’s Mona Lisa and Virgin on the Rocks do the pieces finally begin to fit together. What they learn shocks them. And may get them killed. WARNING: This book contains themes that may be offensive to readers with strong Christian or other religious beliefs.